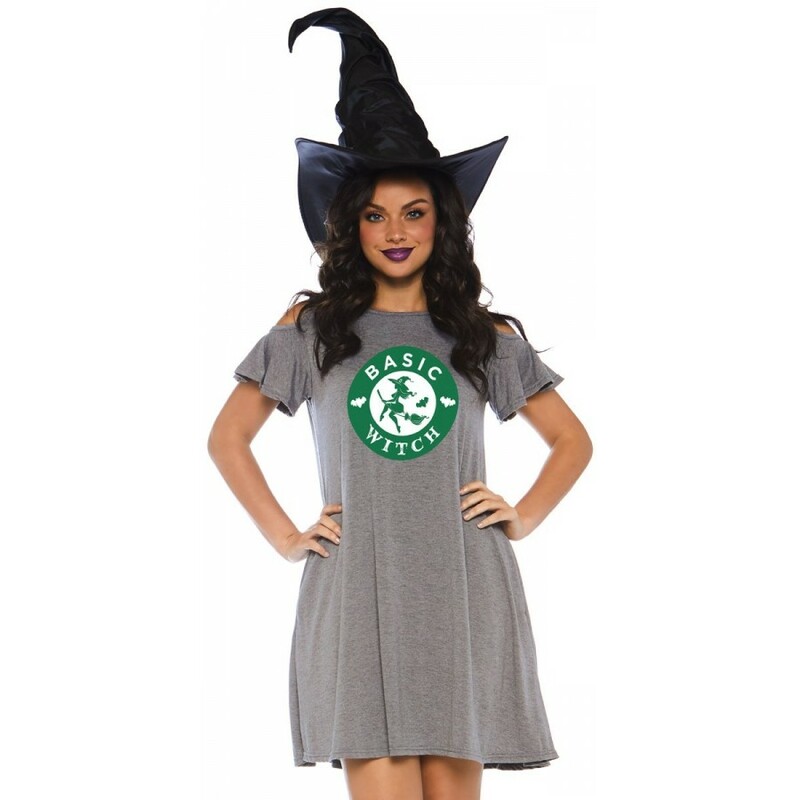 This Basic Witch gray knit jersey dress is comfortable perfection for a casual party or office holiday bash. 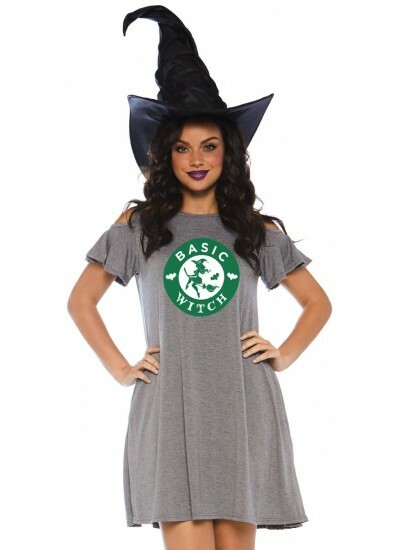 The gray tunic top has cold shoulder cut outs with flared short sleeves, scoop neck, pockets, and Basic Witch print. 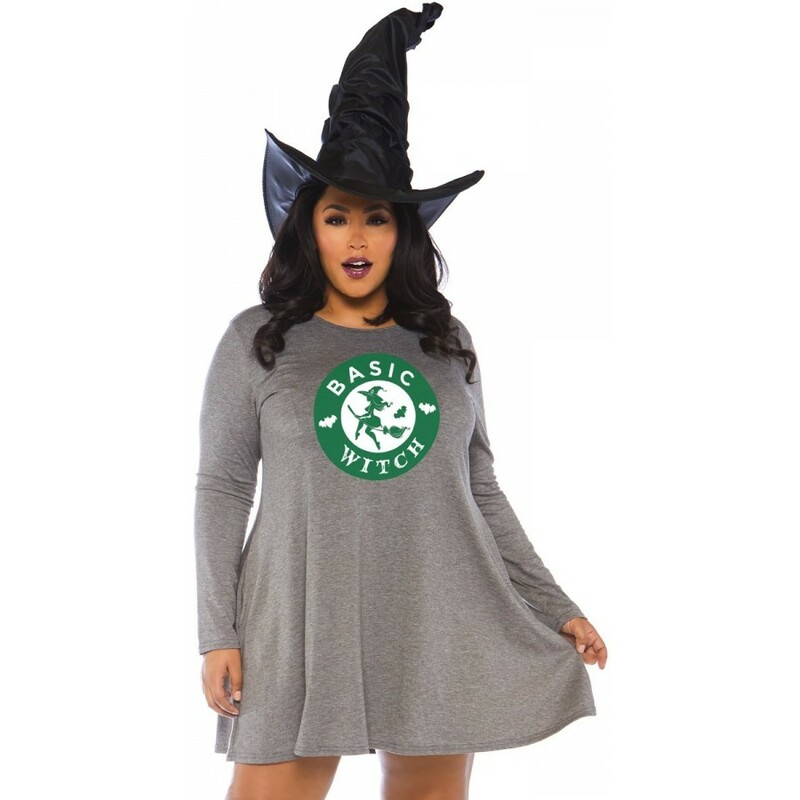 Great with jeans or leggings too! Hat and other items shown sold separately. Item Number: LA-c86767-X | Approximate Size (Inches): 10.00 wide x 1.00 deep x 12.00 high | Approximate Shipping Weight: 1.00 lbs. 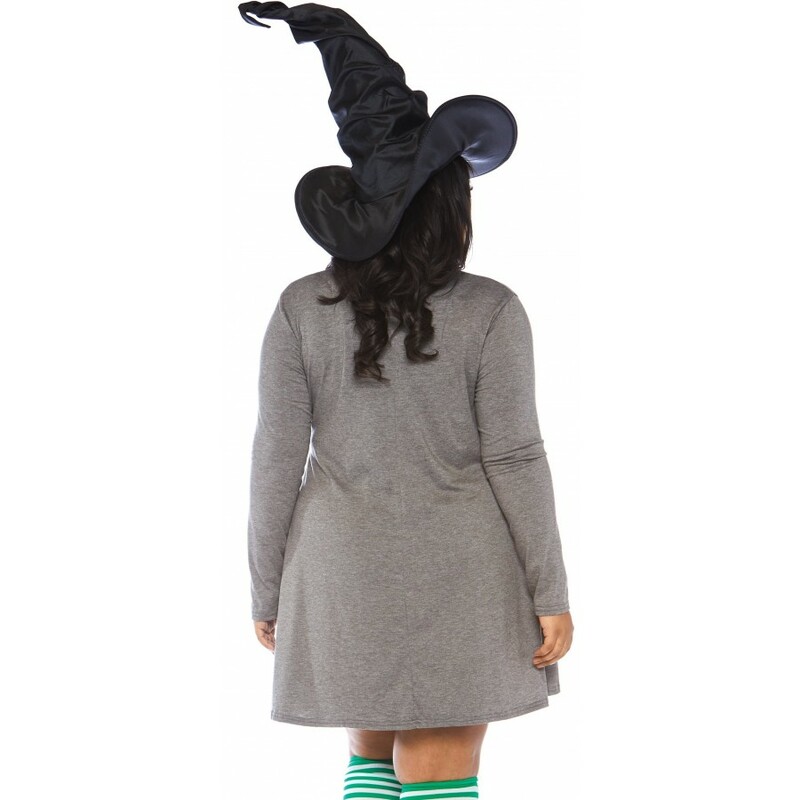 They come in several great colors and are fun as well as a practical way to keep your legs..
A great witches hat for Halloween or anytime, it is oversized with ruching and a wired bri..